It's no secret that I'm a bit of a chocoholic. Whether it's a cake, a brownie, a bar or a biscuit, if it's got chocolate in it, I'll be munching on it quicker than you can say Galaxy. I eat chocolate pretty much everyday, I certainly think about it everyday! When will I get to eat my next chocolate bar? Which one will it be? If I go out for dinner, I almost always opt for the chocolate option. There's just no other alternative in my eyes! ...give up chocolate for a whole month! (Wait, is that right?). Yes, it's true, you haven't misread my words, I will be going on a #DECHOX to raise money for the British Heart Foundation. That means no chocolate bars, no chocolate chip cookies, no Cadbury Button puddings (boy oh boy am I going to miss those). I will be staying well away from anything that has chocolate in it, on it, or around it. I think it's only just sinking in that I'll be giving up my one true love for 31 days. 31 DAYS. That's 774 HOURS without chocolate. It's going to be a challenge and there most probably will be tears (especially around my time of the month, when chocolate is the only thing that can help me survive those almighty cramps and awful mood swings) BUT I have to remember that it's all for a good cause. I like to support charities who are helping those that either myself, my family or my friends can relate to and British Heart Foundation is one of them. I thought it was the perfect opportunity to raise some money for a brilliant charity and challenge myself at the same time. I'm only £15 away from raising my target amount and I would be so very grateful if you could help me get there! If you would like to sponsor me, you can do so by clicking here OR if you prefer, you can text ELES95 along with the amount you wish to donate (£1, £2, £3 £4, £5 or £10) to 70070. All money raised will go towards the British Heart Foundation to help them fund its life saving heart research. Think you can give up chocolate for a whole month? Want to set yourself a challenge and raise some money for charity at the same time? 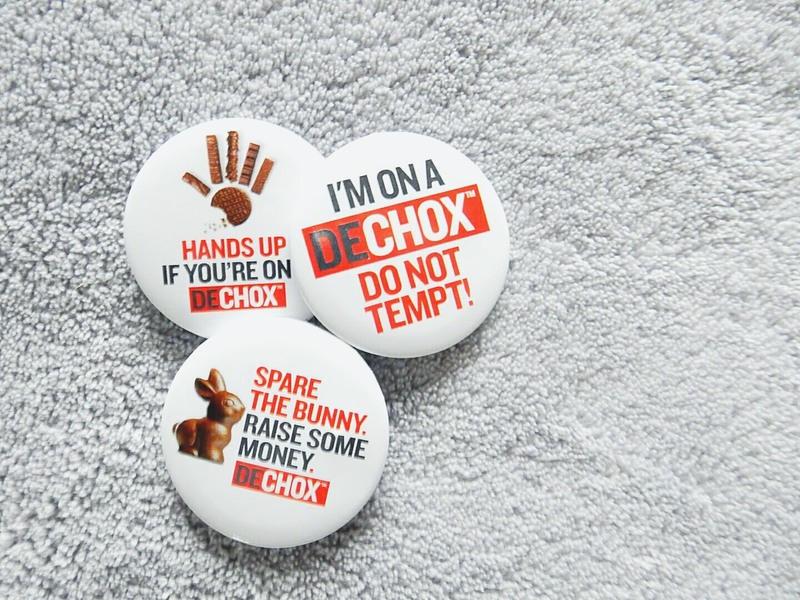 Sign up to British Heart Foundation's #DECHOX here.